Joel M. Silvershein has been an assistant state attorney in the 17th Judicial Circuit since 1986, and is currently the chief of the Appeals Unit. He has also served as an assistant state attorney in the Juvenile Unit, Felony Trial Unit, and Special Administrative Projects Division. Prior to being appointed as an assistant state attorney, Mr. Silvershein was a certified legal intern with the State Attorney’s Office in the 15th Judicial Circuit in West Palm Beach in 1985. Mr. Silvershein has been a member of the Juvenile Court Rules Committee (1987-2002, 2008-2014) and served as Chair of that Committee during the 2001-2002 and 2011-2012 bar years. Additionally, he has served as a member of the Criminal Procedure Rules Committee (2002-2008), and as the representative of the Juvenile Court Rules Committee on the Rules of Judicial Administration Committee (2011-2014). He also served on the executive council of the Government Lawyers Section of the Florida Bar. 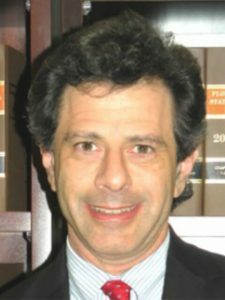 Since 1993, Mr. Silvershein has either authored or co-authored the pretrial practice chapter of Florida Juvenile Law and Practice published by the Florida Bar Continuing Legal Education. Mr. Silvershein received his Bachelor of Arts from Tulane University (1983) and Juris Doctor from Nova Southeastern University (1986).